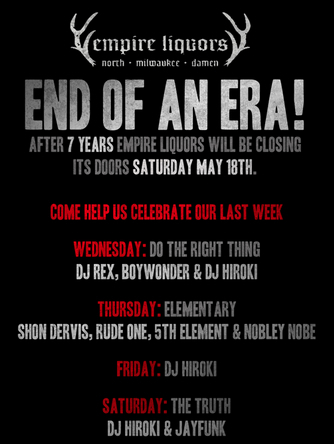 Wicker Park mainstay Empire Liquors is closing this Saturday, May 18 after seven years of operation. The lounge/dance club is being closed down to make way for a different bar concept … cocktails. Empire Liquors is owned by Matt Eisler, the restaurateur also behind Bar DeVille, Bangers & Lace, Trencherman and many others.